Another staff meeting, another cake. I really love that I make cake for work things. It’s a good way to try new cakes, I try to make a new cake every meeting. A way to keep things fresh and new. 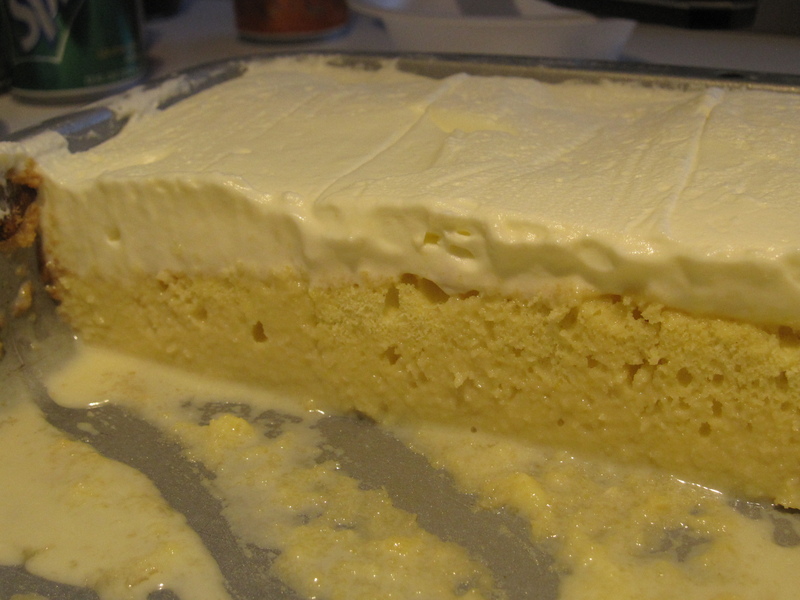 I have wanted to make Tres Leches Cake for a while. I’m not a dessert person but this really makes me have a sweet tooth. The custardy consistency and the frosting really get me hooked. I was always interested in the frosting because its taste reminded me of a marshmallow. Well I learned that it is just heavy cream vanilla extract, and A LOT of sugar, which explains the sugary sweet marshmallow taste. I search for the perfect recipe had my blog hoping and diving into cook books. In the end I decided to go with the one on Foodnetwork.com by Alton Brown. I picked this one because the frosting had the most sugar in its frosting recipe (how dare someone else tell me that 2 tablespoons is enough?) and I met him!! I was using a bigger pan than the recipe called for. 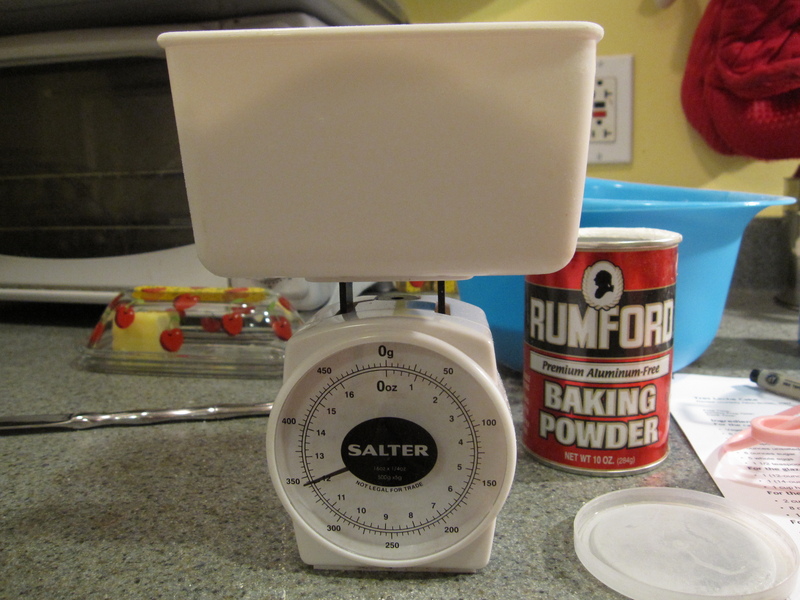 I decided to multiply the recipe by 1.5 for my 11x 14.5″ pan. There were a few things that I played around with like the quantities for the glaze, like I just used 1 can of evaporated milk, 2 cans of condensed milk, and 2 cups of heavy cream (instead of the half and half). I think it turned out pretty well. Next time I would poke a few more holes and add the milk mixture in 2 batches so it would soak in it bit at a time. I think pouring all the mixture in at once prevents it from soaking in properly. The mixture did not soak in consistently, it settled in the bottom and soaked up about 4/5 of the way up- which kinda defies gravity. Either the mixture was tasty and the frosting was addicting. 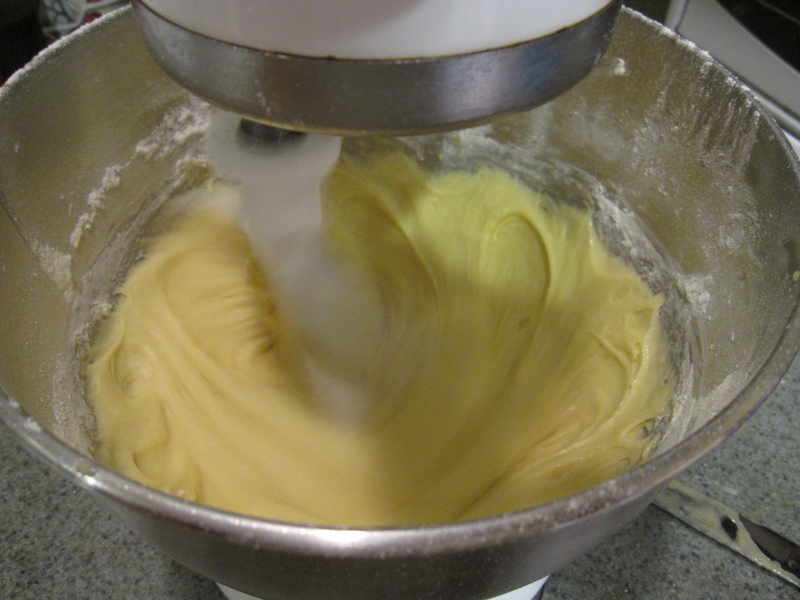 Whisk together the evaporated milk, sweetened condensed milk and the half-and-half (or heavy cream). Once combined, pour the glaze over the cake. Refrigerate the cake overnight. 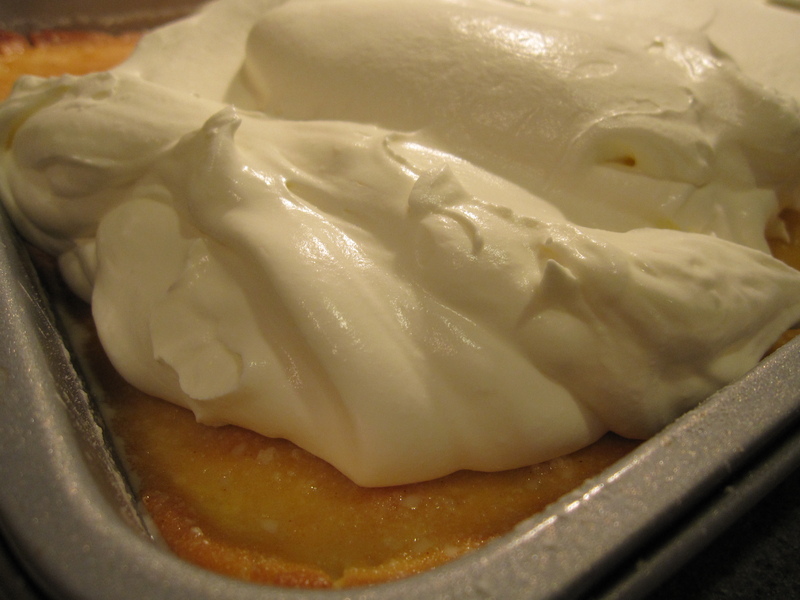 All of that cream…it haunts my dreams.